A television sequel to the 1993 film The Sandlot is currently under way, and this time, the original cast are returning. The original film’s director, David Mickey Evans, announced the sequel while appearing on an episode of the baseball podcast The Rain Delay. Evans also revealed a streaming service – though he didn’t say which one – has picked up the series for at least two seasons. The big news for fans of the coming-of-age sports drama though, is the film’s original cast are all slated to return for the revived project. The original cast members said to be returning are, as Comicbook reports: Tom Guiry (Scotty Smalls), Mike Vitar (Benjamin ‘Benny’ Franklin Rodriguez), Patrick Renna (Hamilton ‘Ham’ Porter), Chauncey Leopardi (Michael ‘Squints’ Palledorous), Marty York (Alan ‘Yeah-Yeah’ McClennan), Brandon Quintin Adams (Kenny DeNunez), Grant Gelt (Bertram Weeks), Victor DiMattia (Timmy Timmons), and Shane Obedzinski (Tommy ‘Repeat’ Timmons). The first film followed the adventures and misadventures of a group of kids, who all bond over playing baseball at the sandlot. Set in 1962, the coming-of-age tale has remained a fan favourite for many people who were around the same age as the characters when it was released in 1993. The end of the film sees time flashing forwards 30 years, with the kids grown up and gone in a few different directions. Protagonists Benny and Scotty, however, have remained close, with Benny becoming a professional baseball player and Scott a sportscaster. Evans didn’t say where or when the sequel will be set, so whether we’ll see Benny and Scotty on their way to the major leagues, or in the aftermath, is yet to be confirmed. 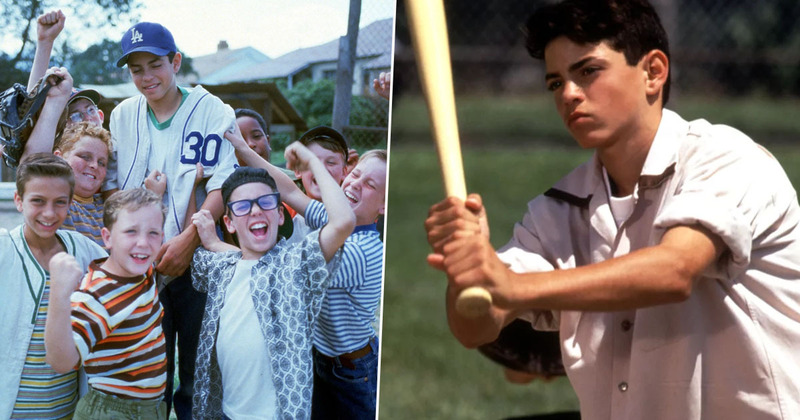 Either way, the return of The Sandlot is sure to create a serious wave of nostalgia for a whole generation of grown-up kids.